In order of original release, reversed. 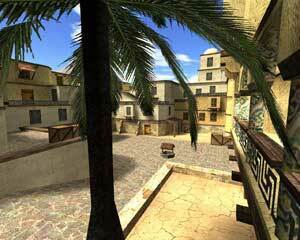 Description: North Africa urban setting. Description: Remote Greek mountain village set around a central cathedral. Description: A high tech laboratory. Description: A classic European village. Description: A small gothic dm map.